Figure 1-11.DoD Property Record, DD Form 1342. 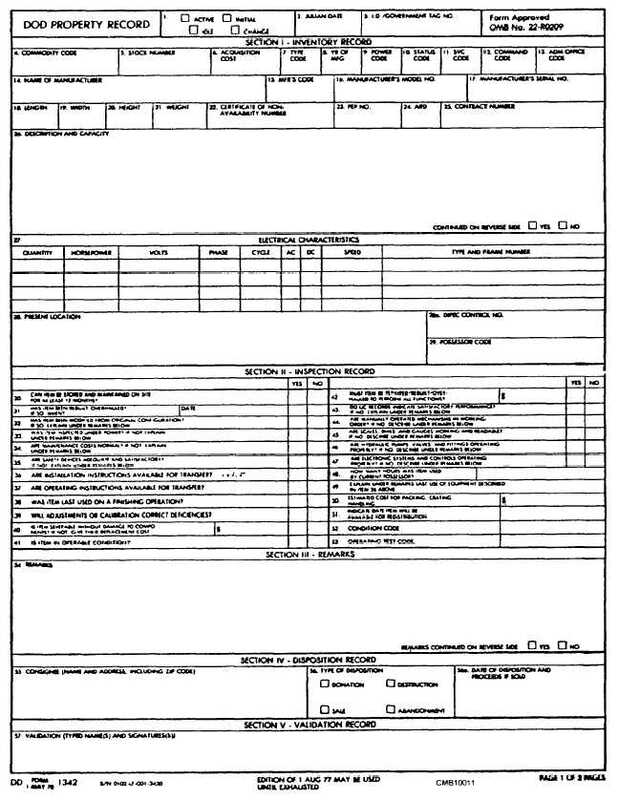 Home > Construction Training Manuals > Construction Mechanic Basic > Figure 1-11.Dod Property Record, Dd Form 1342. Figure 1-11. - DoD Property Record, DD Form 1342.